Looking for ways to increase survey responses and capture more insights about your shopper's interests and in-store experiences? Our enhanced surveys improve response rates and data quality, empowering merchants with new ways to understand their customers’ in-store experiences and receive critical feedback on new products. 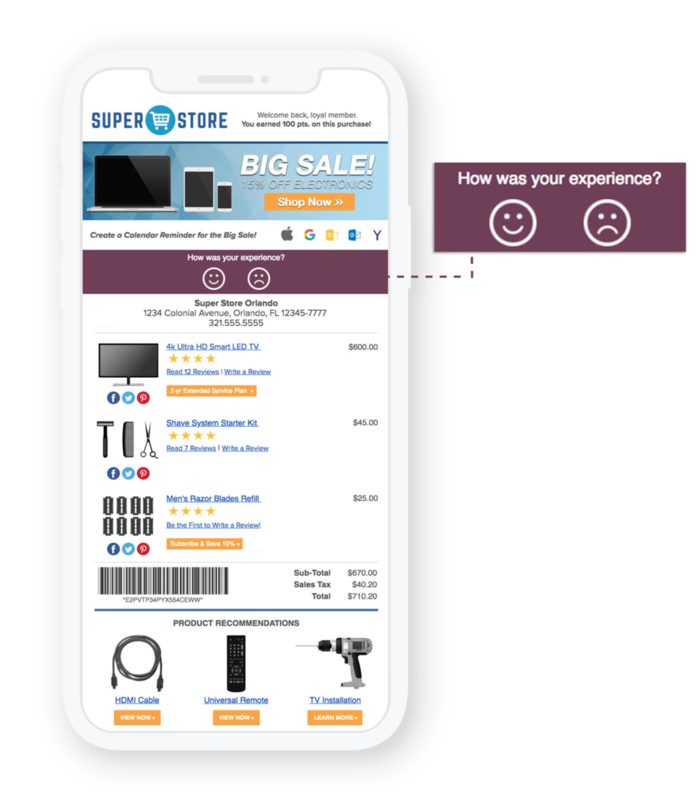 Our personalized, dynamic transactional messages provide a more convenient and effective vehicle for soliciting shopper feedback from today’s connected consumers. Digital receipts alone boast some of the highest open (45-80%) and click-through (15-20%) rates of any shopper communication. In fact, responses to surveys within eReceipts are 10 times higher than flat .PDF emails or printed receipts. flexEngage generated an additional 15,000 survey completions this year. Enhanced surveys are a simple add-on to your existing flexEngage installation. Get started in as little as two weeks! Contact Us to Learn More.